"Sales is a young person's career." "The only old people in sales are the ones not good enough to have been promoted." "Old salespeople are too far behind the times to be effective." If you're wondering if you may be too old to be in sales, you might have heard these comments before. Perhaps you even felt or feel the same way. The question at the core is whether or not there is an age limit for those in or interested in a sales career? If so, what is a mature professional supposed to do if not what they have passion and skills for? If there is no such thing as being too old for sales, what obstacles should a tenured sales rep expect to face? In many sales organizations, the sales team is younger than the management team which is often younger than the senior leadership team. This commonality is far from being universal but, in general, this is what is commonly found in many sales teams. 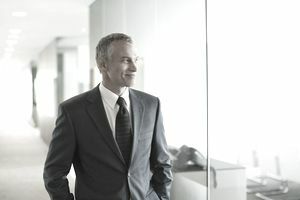 Many feel that a young sales professional earns promotions, climb up the corporate ladder, and eventually retires from the industry while enjoying a management or senior leadership role. If a sales rep doesn't make that climb but instead stays in a direct sales position, either the rep is viewed as not having the necessary skills to advance, is too lazy to be offered a promotion, or is not interested in advancement. These are the commonly held beliefs when it comes to mature sales professionals, and while these beliefs have their merit and can be correct in many instances, they are far from being absolute. The truth is that the age of a sales professional is far less important than passion and skill. Some may argue that with advanced age comes a lowered energy level, but most reps who display energy in their jobs are either hardwired to be energetic or are driven by their passion for their job. There are energetic sales reps in every bullpen across the world that are mature, and there are those who display very little energy that are just starting their work careers. Sure, with age comes a natural lessening of bodily energy, but unless a sales rep is in a very physically demanding industry, it is passion and skill that create the energy needed for success, not youth. Despite several countries' employment laws that prohibit age discrimination, there will be sales industries that are heavily slanted towards youth and that dissuade older sales professionals from even applying for a sales position. As an example, if a company sells products geared for 20-year-olds, their sales force will reflect their customer base. While far from being universal, there are more 20 and 30-year-olds selling social media-based products than there are 50, 60, and 70-year-olds. Conversely, you'll find more 40, 50, and 60-year-olds selling Financial Services and Insurance than you will 20-year-olds. Why? In some industries, consumers will be more trusting of a sales rep with experience (both industry and life) than someone just getting their careers started. But this doesn't mean that an older person can't be successful in an industry geared towards a younger generation, nor does it mean that a 20 something-year-old can't be a top producer in a more mature industry Again, it comes down to passion and skill. In all honesty, there is no age limit for success in sales, but there may be extra prejudices or obstacles to overcome for a mature sales rep. If your skills are sharp and your commitment to customer service and success are strong, then your birthdate doesn't mean anything. Be smart about the industry you seek to sell in, then show the world the benefits of being experienced.